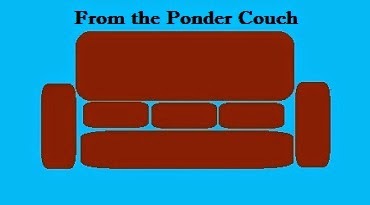 From the Ponder Couch: Nothing?! Tra la la?! A tribute, of sorts, to David Bowie. 2 New Songs! "A Better Day" and "*You're"! Doug Funnie Sure Was Prolific! Rejected by the New Yorker Volume 6! New Song! "Won't You Please"! The Whole Shabang! Taste test review. Olde Mother Goose! Not for Children!